Prague is all set to become the poker capital of Europe next month with the partypoker WPT Prague Festival of Poker kicking off next Tuesday (through to December 8), followed by the very last EPT which is running December 8-19. 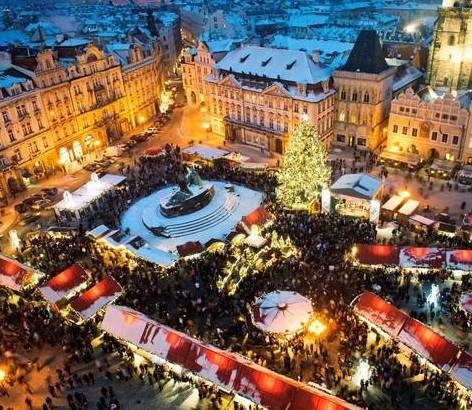 Prague is famous for its stunning architecture and the run-up to Christmas means you can also enjoy Prague’s famed Yuletide markets with gingerbread and hot wine stalls helping create a super-festive atmosphere. There are dozens of bars, café and restaurants in the Old Town - and no shortage of nightclubs either so you can party well in to the small hours. Check out all the MainEventTravel accommodation options here. The last ever European Poker Tour event is taking place at the Hilton Prague from December 8-19, 2016. EPT Prague always provides plenty of highlights – and this is your very last chance to get your hands on a coveted EPT Trophy. It is also the last chance for any previous winners to emulate Vicky Coren’s success as the EPT’s only two-time champion. MainEventTravel has a ton of fantastic hotel options for the EPT as well as apartments. The event will feature 100 events including the €1,000 Eureka Main Event, €300 PokerStars Cup, €50k Super High Roller, €2k Eureka High Roller, €10k EPT High Roller and €5,300 EPT Main Event. Check out the EPT YouTube video to see what’s in store. Last year, German player Hossein Ensan beat a field of 1,044 players to take down the Main Event for €754,510 while Steve O’Dwyer won the Super High Roller and Rainer Kempe won the €25k High Roller.